Whether you need a room refreshed or a complete exterior paint system, we have the knowledge and commitment to complete your painting and decorating project on time and in budget. With fully tailored quotes, conscientious workmanship and an extensive knowledge of products, you can be sure the work you receive is perfect for your project. Whether it's a redecoration in your company's trademark colours or a completely fresh look, R. Martin, Decorator can help you to have the best looking business on the street. Lasting repairs carried out to rotten timber structures. Minor re-pointing work prior to painting. Interior skirting boards, architraves and dado rails fitted. Helping to create your dream space. 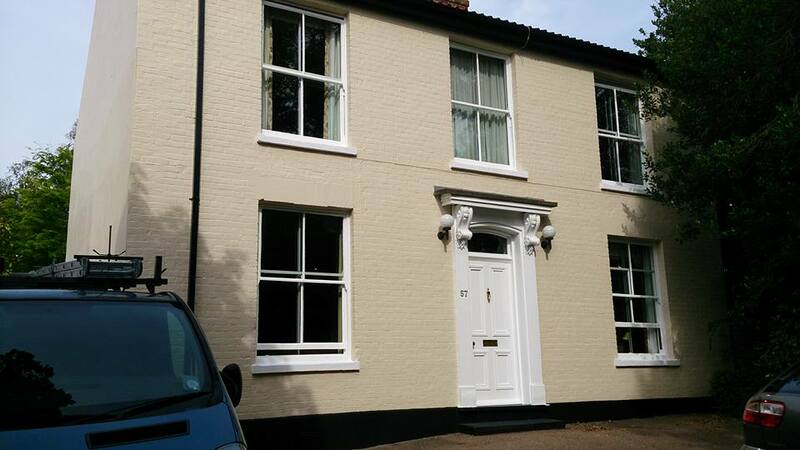 With over 10 years service as a painter and decorator in Norwich, a good knowledge of available, high quality products and their application systems, I can offer you advice specific to your project. With experience in using specialist, problem solving materials combined with dust free sanding equipment you can feel confident that you're receiving a professional service second to none. Protection and Identity for your property. Understanding how adverse weather can effect the substrates used to construct your building allows us to effectively specify products that will prolong their integrity. We can offer economical timber repairs, sometimes saving £1000's compared to the cost of replacing expensive windows or doors.